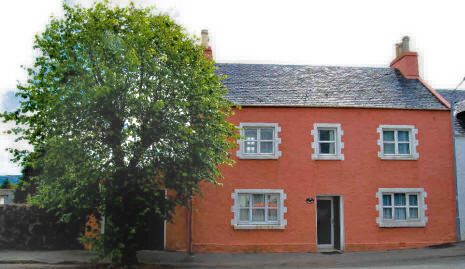 Located in Tobermory's upper village at the corner of Victoria and Breadalbane Streets, this lovely old, three-storied house was built in the 1820s on a double lot so it has an exceptionally large private walled garden. The Rowans appears on the British Fisheries Society's plan of 1790 as "The Weaver's House". Tobermory owes its origins to the British Fisheries Society and their search for likely sites for fishing communities in western Scotland in the 1700s. The Society's agent, John Knox, visited Mull in 1786 and proposed making use of the superb natural harbour for such a community. The name comes from the Gaelic tobar-mhoire which translates as "Mary's Well", after an ancient holy well dedicated to the Virgin Mary in what is now the upper part of the village. Check our availability here and then either ring or email us. Copyright © Aglarond Design 2017. All Rights Reserved.